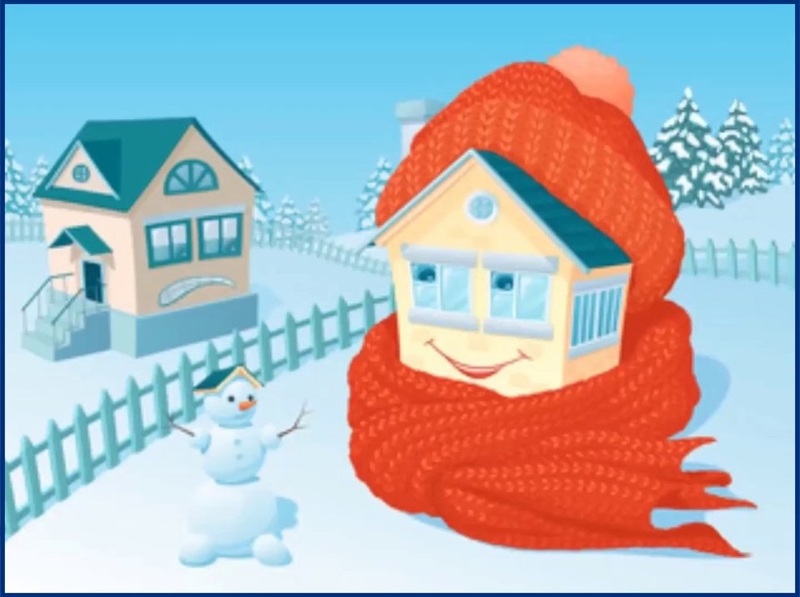 Top Tips for Winterizing Your Home! - Inspect exterior for crevice cracks and exposed entry points around pipes, then seal them as needed. - Use weather stripping around doors to prevent cold air from entering the home and caulk windows. - Replace cracked glass in windows, and if you end up replacing the entire window then prime and paint the exposed wood. - Rake away all debris and edible vegetation from the foundation. - Seal up entry points to keep the pesky critters out. - Tuck-point or seal foundation cracks. Mice can slip through space as thin as a dime. - Inspect sill plates for dry rot or pest infestation. - Some cities require a smoke detector in every room. - Install a carbon monoxide detector near your furnace and water heater. - Test smoke and carbon monoxide detectors to make sure they work. - Buy a fire extinguisher or replace your existing one of it is more than 10 years old. - Locate your water main in the event you need to shut it off in an emergency. - Drain all garden hoses. - Insulate exposed plumbing pipes. - Drain air conditioner pipes, and if it has a water shut-off valve then turn it off. - If you go on vacation, leave the heat on, set it to at least 55 degrees. - Trim trees if branches hang too close to the house or electrical wires. - Ask a gardener when your trees should be pruned to prevent injury during the winter. - Plant spring flower bulbs and lift bulbs that cannot winter over such as dahlias in areas where the ground freezes. - Seal driveways, brick patios and wood decks. - Move sensitive potted plants indoors or to a sheltered area. - Cap or screen the top of the chimney to keep out rodents and birds. - If the chimney hasn't been cleaned for a while, call a chimney sweep to remove soot and creosote. - Buy firewood or chop wood. Store it in a dry place away from the exterior of your home. - Inspect the fireplace damper for proper opening and closing. - Check the mortar between bricks and tuck-point, if necessary.